Amarine-made automatic bilge pump -1100 gph. Built-in float switch! (No separate float switch is needed). Integrated float switch TEST button at rear of unit. Ignition protection to protect the pump against high current. Hinged bracket allows for the ladder to fold over platform for easy fitting. The design of this platform ladder makes it possible to be used as on a pontoon boat. Installation is very easy, simply bolt the ladder to a horizontal platform and you are ready to use it! 2pcs 12V DC LED Puck light w/ Stainless Steel Housing,Round,3",4-led,Blue -ESA. Marine Boat Car Adjustable Cup Holder Stainless Steel Folding Drink Holder ESA. Marine 316 Stainless Steel Sport Boat Steering Wheel Knob Maneuvering Knob-S ESA. Stainless steel high quality turning knob with teflon washers and adjustable tension. Steering wheel INCLUDES a 5/8" -18 retaining nut. SeaStar hydraulic helms and Verado helms use a 5/8"-18 nut. 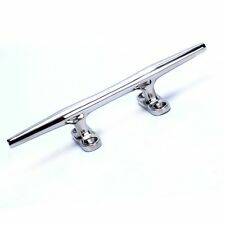 Made of Marine Grade Polished Stainless Steel. This High Quality smooth folding ladder is made of Stainless Steel 304. Tubing is 1" thick. Each Step Has A Flat Tread Cover w/ Non-Slip Plastic for Safety. Ladder folds compactly and it is 12.5" long when stowed. This boat ladder is designed to be mounted below your swim grid or other platform. Each ladder includes a velcro strap that can be used to wrap around the mounting bracket. When stowed, it folds flat beneath your swim grid/platform. Low profile hatch, designed for installation on internal or external flat surface. Reinforced lid with non-skid surface. Protrusion above deck: 0.7" 17mm. Intrusion below deck: 1" 26mm. 2X Stainless Steel Hatch Hinge w Removable Pin Heavy Duty Marine Grade 3"x2-3/4". 4X Stainless Steel Recessed Boat Marine RV Cup Drink Holder W/ 3 Red LED Light. 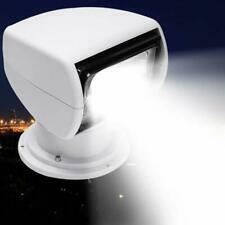 Strong ABS Molded Design, Anti-Aging, Anti-Corrosive, Ultraviolet Resistant. Size Opening w/ Open Window: 12-5/8" x 5.0". Stainless Steel Hatch Hinge with Removable Pin Heavy Duty Marine Grade 3"x2-3/4"
Stainless Steel Hatch Hinge 180 degree flush mount 3" x 2-3/4" Hatch Hinges for boat, RV. Amarine Made Heavy Duty Marine 316 Stainless Steel Hatch Hinge 3" x 2-3/4". This process assures you of a long lasting durable hinge. Made of stainless steel 316 casting, solid and heavy duty. Stainless Steel Boat Cleat 8" Stainless Steel Open Base Stud Mount Boat Marine. size: length of all: 156mm/6.1", width:53mm/2", Height when folding:14mm/0.55", Height when Flip-up: 49mm/1.9". 1 100W Water Pump. Not dry the car with a dry towel after wash,preferably with wrung-out wet towel or cotton cloth. Not be use a washing powder or soap to wash cars. This is a great car washer set,scientific design,beautiful and articstic,both a gift and a tool for yourself. Embroidered White Stars are raised with a high thread count.specially treated to dry fast;And Flag pole material:The clamp is made of plastic and the rod is made of stainless steel. Complete with split rings. Low profile hatch, designed for installation on internal or external flat surface. 2PCS Stainless Boat Recessed Hatch Loaded Flush Mount Lift/Pull Ring Handle. Boat Flip Up Folding Dock Cleat - 6" 316 Marine Stainless Steel High Quality. NEW 12 Volt DC Diesel Fuel Transfer Pump. Fit with Viton seals, they are 100% biodiesel compatible. Use this pump for fueling vehicles, transfering fluids, filtering fluids & more. For transfer of Diesel Fuel, Biodiesel, Kerosene, Light Fuel Oils. Stainless Steel Stamped Louvered Vent - Rectangular 07723S - 4-1/2" X 9" NEW US. Material: Stainless Steel 316. These rectangular louvered ventilators our designed with pure elegance. Water Marine Boat Stainless Stamped Louvered Vent. Destroyer style steering wheel with hub, center cap with Knob. Marine Boat Caravan Waterproof 8 Gang Blue LED Black Rocker Switch Panel - AM. 2PCS Angle Adjustable Stainless Boat Fishing Rod Holder -Top/ Side Mounted US. This is used to mount a Bimini Top to a boat. It can be used on the top of the gunnel or on the side. It has a quick release stud and is almost flush with the fiberglass. These are sold individually. Marine Boat Electric Bilge Air Blower, 12v/2.5Amp, 130CFM, 3" Outlet Hose. Boats Bilge Ventilation . Its a electric fan. Galleys and heads. Amarine-made automatic bilge pump -1100 gph. Built-in float switch! (No separate float switch is needed). Amarine-made 1100 GPH 12v Marine Boat Plumbing Electric Bilge Pump -SFR. Integrated float switch TEST button at rear of unit. Precision cast 316 marine grade stainless steel. Boat Deck Fill / Filler With Key Cap. This hollow base cleat is made of highly polished stainless steel with an open base is one of the most popular cleats found on most vessels. Sleek, modern design makes decks look stylish and it's really easy to install. 316 Stainless Steel Bimini Deck Hinge. Bimini deck hinge boat swivel 180 degree. Swivel allows deck hinge to be mounted on almost any angle. Marine Top Quality, Corrosion Resistant. Boat Flip Up Folding Dock Cleat - 6" 316 Marine Stainless Steel High Quality. Promotion！316 Stainless Steel Sport Boat Steering Wheel Knob Maneuvering Knob. Thread Size:3/4". Stainless Steel Boat Steering Wheel 3 Spoke 13-1/2" Dia 5/8"-18 Nut&Turning Knob. Dia. : 5/8";Eye: 15";Length: 20' Dock Line Mooring Rope Double Braided Dock Line. Double braid is ideal for docking, combining decreased stretch with increased shock absorption, perfect for water crafts, small boats, and other water activities. Amarine-made automatic bilge pump -750gph. LED Rocker Bilge Pump Switch Panel & Circuit Breaker - Auto/Off/Man Built-in float switch! (No separate float switch is needed). Integrated float switch TEST button at rear of unit. Polish your image with these beautiful, durable stainless steel fittings. Material: 316 Stainless steel. Deck Plate Fill Stainless Steel Yacht Caravan Boat Deck Fill/Filler with Key Cap. 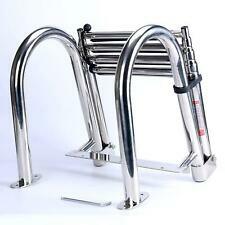 4 Step Stainless Steel 316 Boat Ladder Rear Entry Pontoon Folding Docking Ladder. Length: 25' Dock Line Mooring Rope Double Braided Dock Line. Construction: Braid on Braid. Give your boat a sharp well-kept look with premium pre-spliced double braid nylon dock lines. 2x Marine Boat Dock Bungee Tie,UV Protective Nylon Dock Line Anchor Line 36&59". MARINE BOAT DECK ACCESS HATCH & LID in 14-3/4"X10-5/8" - WHITE -BM. Low profile hatch, designed for installation on internal or external flat surface. Low profile hatch, designed for installation on internal or external flat surface. Stainless Steel Stainless Steel Rectangular 2-3/16” x 3” (57 x 76 mm) Loaded Pull Ring /Lift Handle for Hatch Boat. The Flush Lift Pull features a loaded pull and is easily installed using #8 fasteners. 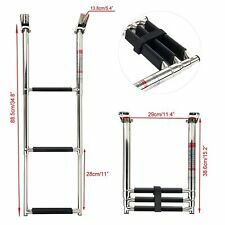 4 Step Stainless Steel 316 Boat Ladder Rear Entry Pontoon Folding Docking Ladder. Superior corrosion resistant electropolished stainless steel. Deck Plate Fill Stainless Steel Yacht Caravan Boat Deck Fill/Filler with Key Cap. 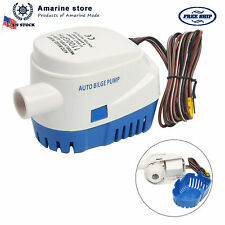 Amarine-made automatic bilge pump -2000gph. Built-in float switch! (No separate float switch is needed). (when water level rises). Integrated float switch TEST button at rear of unit. system for easy fully automatic operation. Includes detachable velcro strap for storing ladder. Marine 316 Stainless Steel Boat Deck Fill/Filler with Key Cap Amarine-made -ESA. Built in handle. Step width: 10" - 253mm. Made of Stainless. Boat Marine Stainless Steel 3 Louver Vent - 8-1/4" X 4-3/8" Amarine-made - ESA. Trending at $67.52eBay determines this price through a machine learned model of the product's sale prices within the last 90 days. Fills your livewell / bait tank with clean, oxygenated water to keep your catch healthy. Typically used in boat hulls Livewells / bait tanks. Ignition protection to protect the pump against high current. Amarine-made Stainless Steel Louvered Vent. Louvered Style. Marine Stainless Steel Louvered Vent Boat Yacht Air Vent 5 Slots 12-3/4"X 4-3/8". Construction of 304 Stainless Steel. Stainless Midget Clam Shell Wire Cable Vent Cover Boat Marine 12mm x 44mm x 40mm. Sold per each. 2" base width. 6" overall length. Boat Flip Up Folding Dock Cleat - 6" 316 Marine Stainless Steel High Quality. Stainless Steel Boat Cleat 8" Stainless Steel Open Base Stud Mount Boat Marine. Dia. 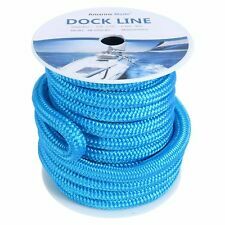 : 5/8"；Eye: 15";Length: 25' Reflective Dock Line Mooring Rope Double Braided Dock Line. Give your boat a sharp well-kept look with premium pre-spliced Reflective double braid nylon dock lines. Both the cover and the core are manufactured from the highest quality marine grade nylon giving you the strongest and easiest to handle line. Amarine-made Boat Marine Flush Mount Fuel Gas Tank Vent 90° Stainless Steel for 5/8 Hose. High Quality stainless steel 90 degree tank vent fitting includes gasket for installation. For use with 5/8" ID vent hose. Manufactured from 316 grade stainless steel. Spring loaded pin to retain anchor and rode. Black nylon roller to prevent chafing of the rode. U Bolt Stern Bow Eye Tie Down 3/8" Dia 4-1/2" Overall Length Stainless Steel NEW. Made of stainless steel 316 casting, solid and heavy duty. Amarine-made Boat Marine Shower Sump Pump Drain Kit System Shower Pump System - 12v - 750 GPH - Multi-port Inlet. (1x) 12v Shower sump Pump System. Multiple Inlet Port Sizes: 3/4", 1", 1-1/8", 1-1/2". Trending at $38.84eBay determines this price through a machine learned model of the product's sale prices within the last 90 days. Anchor Bungee enables you to tether your boat offshore, away from a beach or rocky shoreline without having to swim or use a dinghy. Connect an anchor to your boat with the high tensile strength Anchor Bungee and set the anchor offshore. Trending at $21.40eBay determines this price through a machine learned model of the product's sale prices within the last 90 days. 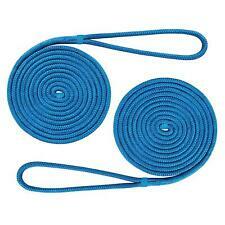 Length: 35ft Dock Line Mooring Rope Double Braided Dock Line. Give your boat a sharp well-kept look with premium pre-spliced double braid nylon dock lines. Both the cover and the core are manufactured from the highest quality marine grade nylon giving you the strongest and easiest to handle line. This is a great car washer set,scientific design,beautiful and articstic,both a gift and a tool for yourself. 1 100W Water Pump. Not dry the car with a dry towel after wash,preferably with wrung-out wet towel or cotton cloth. 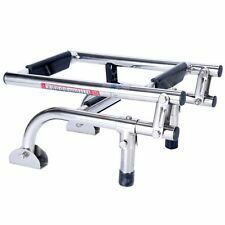 4x Stainless Tournament Style Clamp on Fishing Rod Holder for Rails1-1/4" to 2"